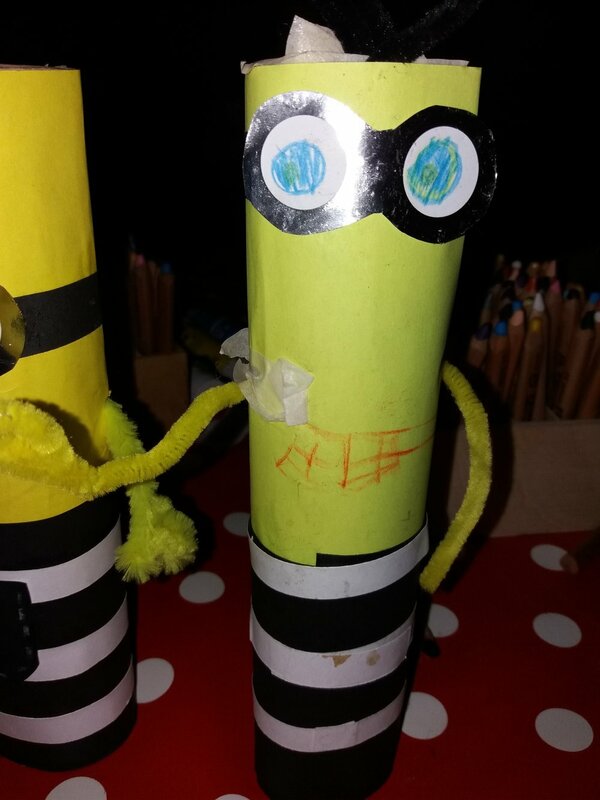 Here are a few photos of some cheeky minions made at The Kids film Lounge this morning. 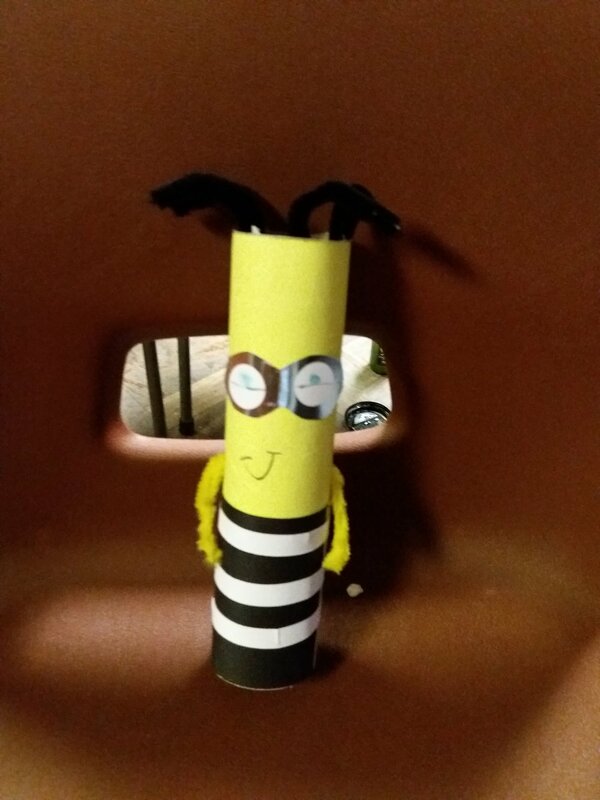 A simple kitchen roll craft, just glue paper, pencils and pipe cleaners were needed. 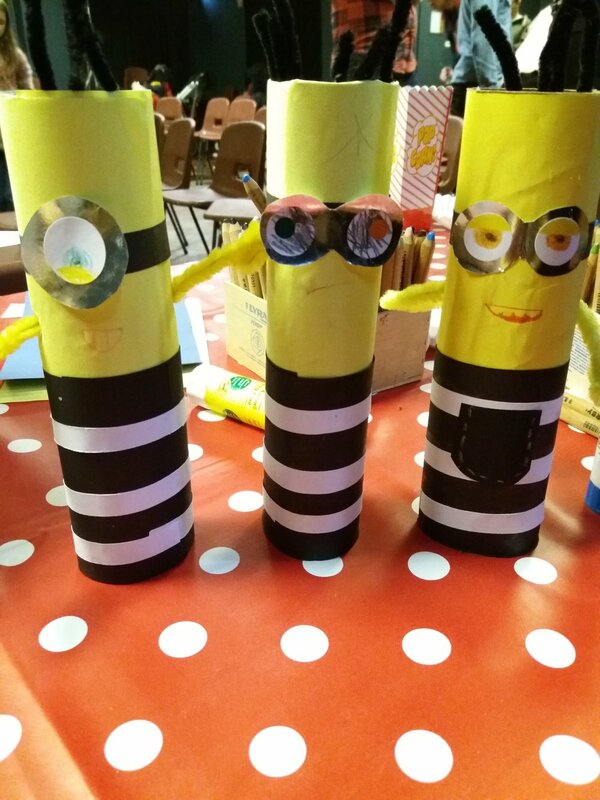 Thank you to all who came and joined in this morning.